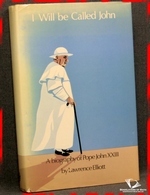 The Catholic Book Club, 1975, Hardback in Dust Wrapper. Condition: Very Good — in Poor Dust Wrapper. Heavily faded at the spine and the margins of the panels with a small nick to the tail of the spine. Price Clipped. Gently bruised at the head, tail and corners of the binding. Size: 9½" x 6¼". Purple boards with Gilt titling to the Spine. [XII] 339 pages.